The Black Lives Matter movement was started in 2012, after the murder of Trayvon Martin. His murderer, George Zimmerman, was acquitted of the crime and was able to walk free. Martin was an unarmed 17 year old. It is believed that because Martin was a teen and unarmed that the situation could’ve been handled much differently. 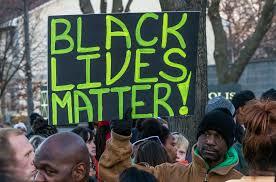 Killing an unarmed teenager was deemed as excessive force, especially since Zimmerman wasn’t even an officer. He was just a neighborhood watch captain. Years after that, many other murders of black people by police that were deemed as unjust were caught on camera, including Mike Brown, Alton Sterling, Tamir Rice, Philando Castile, Sandra Bland, and Korryn Gaines, to name a few. Black Lives Matter was started because it seems like this society doesn’t seem to care about the lives of black people and treat us very unfairly in the justice system compared to other groups of people, especially white people. Not very long after it was started, it got spun into a huge negative and caused a lot of controversy. The response to it was, “All lives matter”. Black people are upset at this because it is taking away from the plight we are fighting for. Black Lives Matter does not mean that only black people’s lives matter or black people’s lives matter more than other people’s lives. Apparently, that’s what people think Black Lives Matter is, which is why they are responding like this. People also think Black Lives Matter means “anti-police”. That’s not what it means, either. What it means is black people’s lives matter, TOO; our lives are just as important as other people’s lives and we should be treated like it. Hearing other black people, especially high profile black people, such as celebrities and politicians, saying “All lives matter” is even worst than a white or any other nonblack person saying it because other black people should be the main ones to know why Black Lives Matter was started and what its purpose is. It’s a little more understandable hearing it from nonblacks than other blacks. Hearing other black people say, “All lives matter” is majorly disappointing. Saying “All lives matter” as a response to Black Lives Matter is pointless and just looks like a deflection. And why is it that “All lives matter” is a response to Black Lives Matter, but Blue Lives Matter was started to fight for the plight of law enforcement? If “All lives matter”, why do we need Blue Lives Matter? How come no one is telling them that “all lives matter”? The fact that Blue Lives Matter was created to shed light on the injustices done against law enforcement shows that everyone knows why the Black Lives Matter movement was started. They know what we’re speaking out against. People just don’t want to address it and feel uncomfortable at the thought of addressing it. Everyone else is just trying to, not only deflect and sweep our issues under the rug, but also piggyback off of our movement and plights for our people. When we’re trying to fight for justice and equality for our people, other groups of people playing off of and latching onto our movements makes our plight look like it’s not important or that other groups of people’s plights should be addressed and handled before ours. When Black Lives Matter was created, it wasn’t to cause a divide and create hate. It was just to ask for justice and equality. That’s all we want.